Since it’s conception in 1895, volleyball has continued to gain popularity across the world as a recreational and competitive sport for all ages. Playing volleyball is great exercise and it’s also a great activity to play on the beach or on a field with family or friends. The competitive aspect of volleyball can be played both indoors on a hardwood floor and outdoors on the sand. As in any physical sport, injuries involving the back are prevalent in volleyball, and they can happen unexpectedly on both surfaces. Keeping a healthy spine that is free of misalignments can have a significant impact on a volleyball player’s performance. Luckily, a chiropractor understands how volleyball injuries can happen, how they can be prevented, and, more importantly, how they can be treated through chiropractic care. If you have been injured while playing volleyball, depending on your condition, a chiropractor may be able to help. Call your local chiropractor to schedule an appointment today. Everyone knows how much softer sand is than a wooden floor, but there are different injuries that can occur to the body from jumping and running on sand compared to the wooden floor. The chances of rolling an ankle, straining a back muscle, or pulling a muscle in the legs or back increase when playing on the sand. However, jumping and landing awkwardly on a wooden floor can also have a tremendous effect on the spine. Plus, when a player falls or dives on the wooden floor, the chances of them getting injured are higher than falling or diving on sand. According to the NCAA, approximately 63 percent of volleyball injuries are connected to jumping and landing awkwardly (ncaa.org, 2011), and back injuries account for approximately 15 percent of all injuries. Most back injuries occur from overuse of the back muscles. In fact, back injuries will eventually affect parts of the leg including the knees and ankles, and it can cause some players to develop sciatic pain or patellar tendonitis (jumper’s knee), which makes up for about 80 percent of overuse injuries (cdc.gov, 2006). The nerves that extend from the spine can influence most injuries, which is exactly why having a nervous system that is free of impingements can provide positive results in one’s volleyball performance. Since the nerves have a direct impact on the muscles and organs of the body, a minor impingement can also affect the function of those muscles and organs. For instance, injuries to the cervical spine can affect the muscles associated with the neck, shoulders, chest, and upper back. Injuries to the lumbago (lower back area) can affect the legs, hips and abdominal area of the body. Today, there are several ways to obtain chiropractic care if a person plays for college or a professional team in the Association of Volleyball Professionals (AVP) or the Premier Volleyball League (PVL). However, if a person is not involved in any of those organizations, or used to be, it would be wise to get familiar with a local chiropractor who can help when those back or leg muscles begin to produce pain from overuse or injury. A volleyball player can reduce the chance of injury and could possibly recover faster from volleyball injuries with the help of chiropractic care. A chiropractor aims to improve a volleyball player’s performance by relieving pain and improving flexibility through a series of adjustments specifically scheduled for each body type. 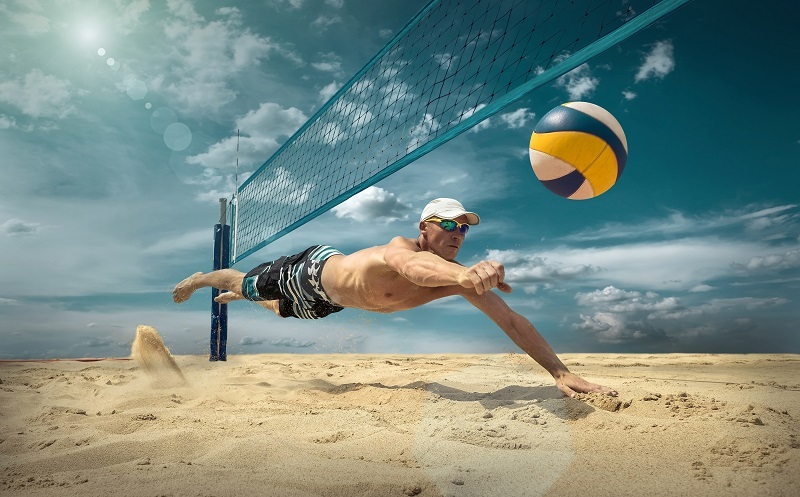 If you lead an athletic lifestyle and have been injured while playing volleyball, depending on your condition, a chiropractor may be able to help you recover from your injuries. Call your local chiropractor to schedule an appointment today.